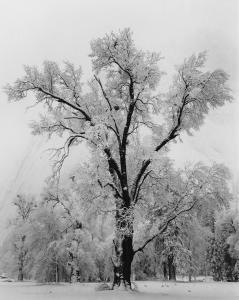 Find artworks, auction results, sale prices and pictures of Ansel Easton Adams at auctions worldwide. 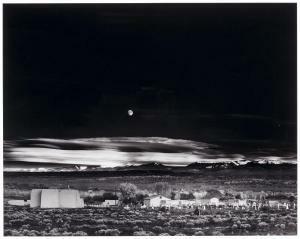 AFTER ANSEL ADAMS California, 1902-1984 Moonrise, Hernandez, New Mexico". 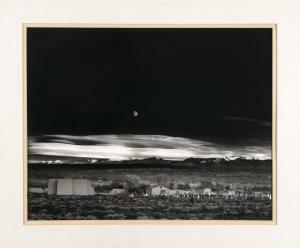 Reproduced in the Last Half of the 20th Century from a gelatin silver print originally dated 1941. 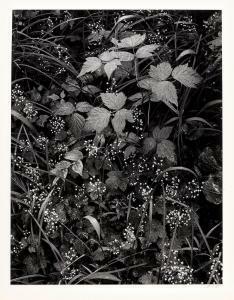 Photolithograph print, image size 15" x 19". Sheet size 15.25" x 19.25". Matted." Condition Drymounted to the backing, verso not accessible. No signatures or stamps noted. 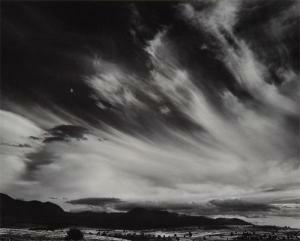 Ansel Adams Gelatin silver print from Portfolio V, printed 1970. 15 1/2 x 19 1/4 in. (39.4 x 48.9 cm) Signed and numbered 'V-4 - 11/110' in pencil on the mount; titled, dated, numbered '4' in an unidentified hand in ink within the 'Portfolio V' credit and reproduction limitation stamp on the reverse of the mount.